This brand new box will be sure to get you a standing ovation with your clients. 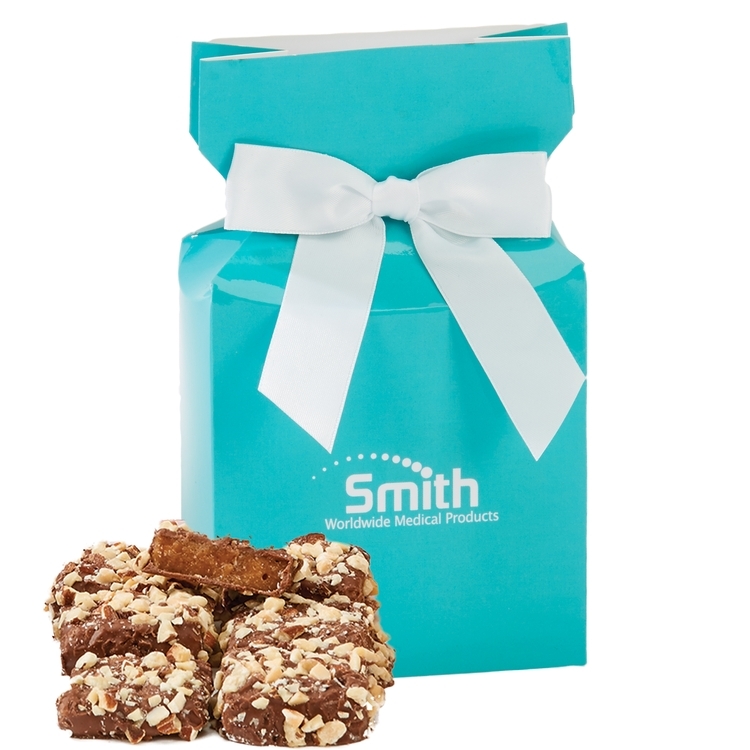 Filled with almond butter crunch, you will gain rave reviews with this high-gloss box that includes your logo and a white bow. Great corporate food gift for the holidays and Christmas.